Offering your customers an easy transaction experience can add important value to the growth of your company. Having an efficient ordering system is necessary when keeping up with new and returning customers. If you are working on an outdated cash register or a poorly designed POS system, this can put stress on your team that can overflow into customer interaction. With our help, we can create an easier order input system for your team, reducing the amount of mistakes made during the process and allowing orders to reach the kitchen in half the time as traditional ordering methods. 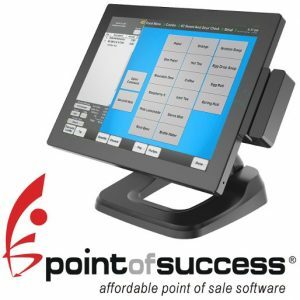 Our POS systems allow you to track orders, sales, and inventory all from one location giving you peace of mind and allowing you more time to oversee your business. Personalized support for you and your team. Prevent downtime with protection and alerts against hardware malfunction. Please contact us to review leasing options for the equipment you require. Keep your delivery drivers on the road and meet your customer service goals with the help of our delivery management features. Order status, delivery destination, maps, and driver queuing are all available. Save time and money with an integrated callerID that links customer information with their phone number allowing for quicker order input and a more personalized interaction with the staff. Custom-built menus tailored to fit your company’s needs, whether it be for traditional order stations, all-in-one touch screen stations, or tablet views. The training of new employees becomes faster and easier with easy to navigate menus. Send text messages directly to your customer database to stay in touch and to improve your sales. Integrated online ordering within your POS system. Credit card processor integrated into each POS station. System security features help prevent employee theft, inventory shrinkage, and more. Remote support after our normal business hours.